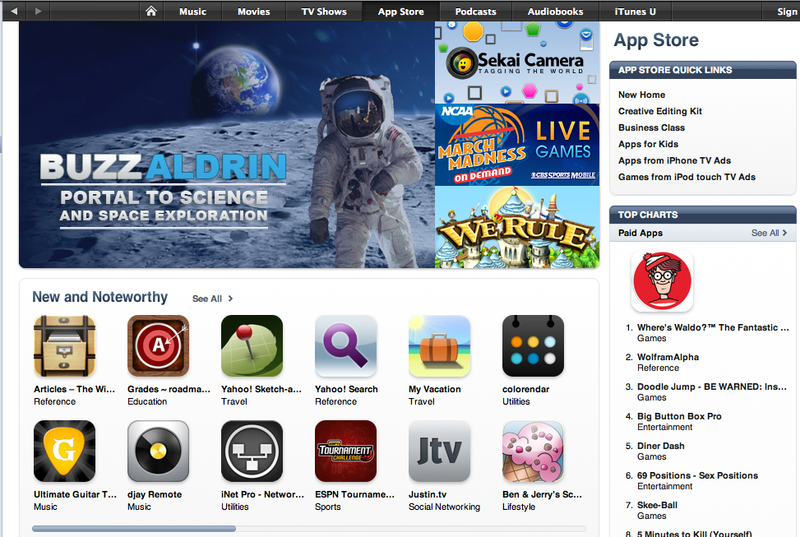 Our Buzz Aldrin Portal to Science and Space Exploration Launched last week and Apple has taken notice. Having Buzz involved so prominently in the App has clearly been a big boost, but the App still needed to be great for this type of placement. 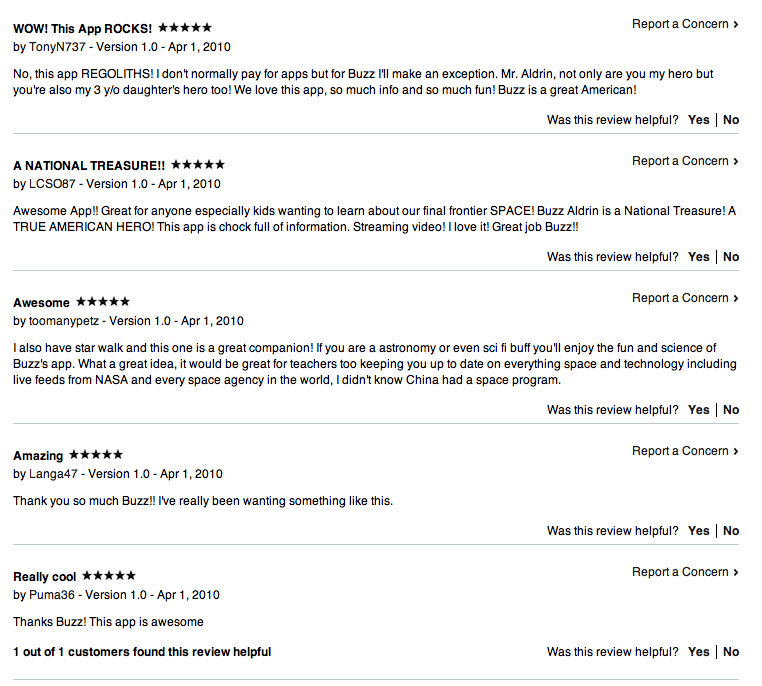 Please try out the Buzz App and let us know what you think.